Fire and Ice is a study in colors and shapes. The flaming vivid red, yellows and oranges of fire is in direct contrast to the jagged icy blues, grays and lavenders of winter. 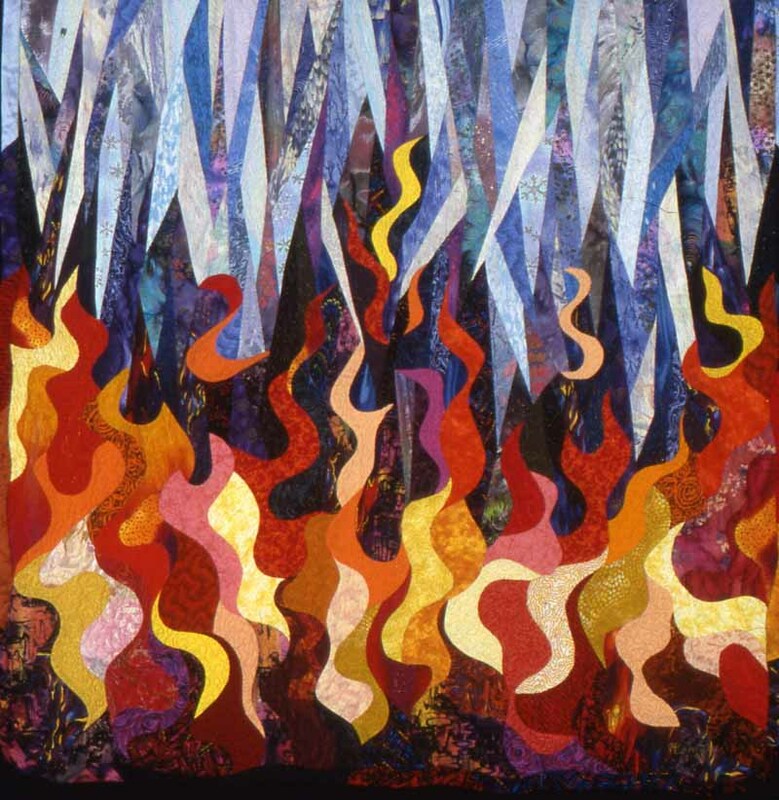 The inspiration for this quilt was a comforting fire in our fireplace during a very cold winter's night!